Lately, I have been focusing some of my stat posts on digital services that we tend to take for granted and rarely stop to think about just how massive they are. 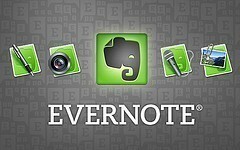 Here is one that I dare say just about all of us use and probably take for granted to a certain extent: Evernote. It seems like Evernote has been organizing our lives forever. This highly customizable, multi-device tool is essential to clipping, saving and keeping projects on track. Personally, there is no way I could work a day job, keep my personal life on track and keep DMR (relatively) organized and updated without Evernote. It is a great product. So, have you ever stopped to think about just how big Evernote is? You may be surprised to see that their user totals rival those of Pinterest and Snapchat. Here is a rundown of how many people use Evernote and other interesting statistics that I was able to dig up. As always, this post will be updated semi-regularly, so be sure to check back for more data in the future.